1pcs into a pp bag + one bubble bag , 200 pcs into a carton . Or as your requirements. 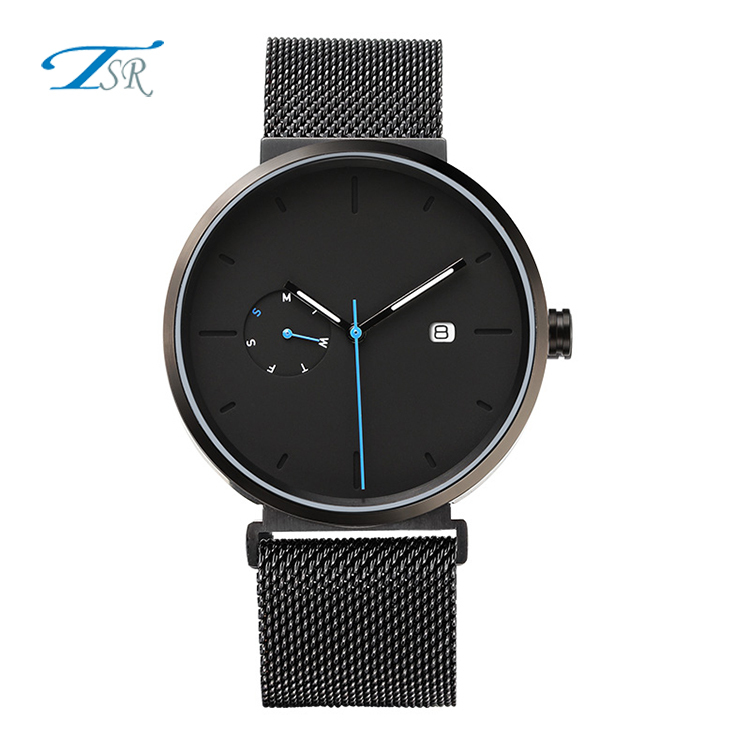 Shenzhen TSR Clock&Watch Co., Ltd. is a professional manufacturer engaged in researching & developing, manufacturing and selling various watches. We have Design Department, Sales Department, IT department, Production Department and After Sales Service Department to service for you. Good After Sales service:We have responsible after sale service staff to contact with our customer after shippment.All your requirements will be replied within 24 hours. 1. 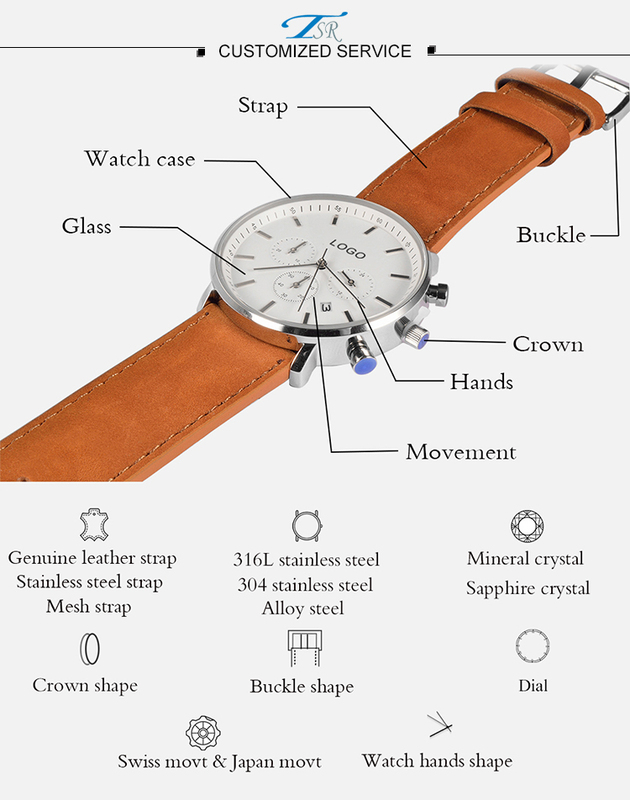 What's your best price for customizing watch? 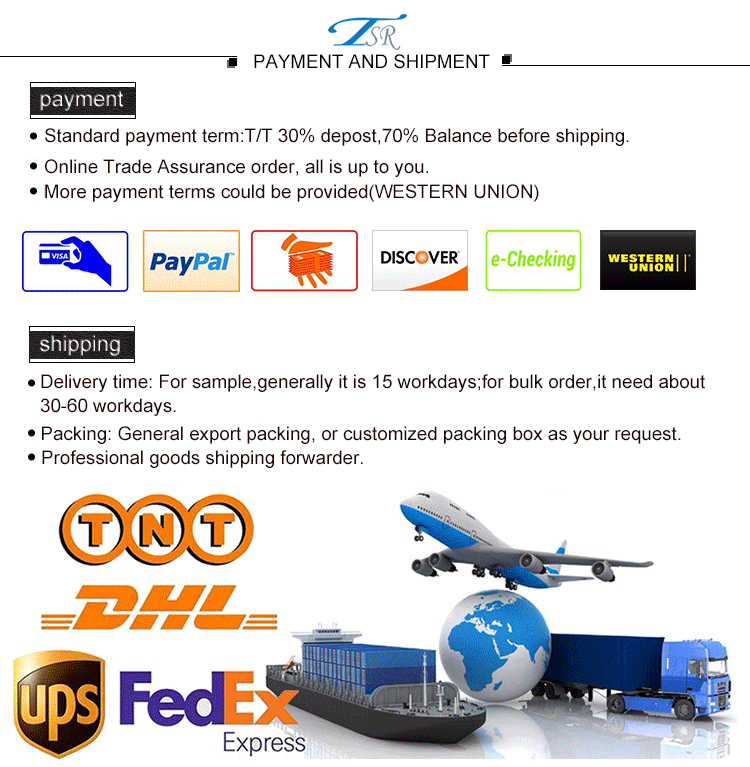 A: We will quote you best price according to your requirement and quantity, so when you making an inquiry, please let us know the requirment and quantity you want. 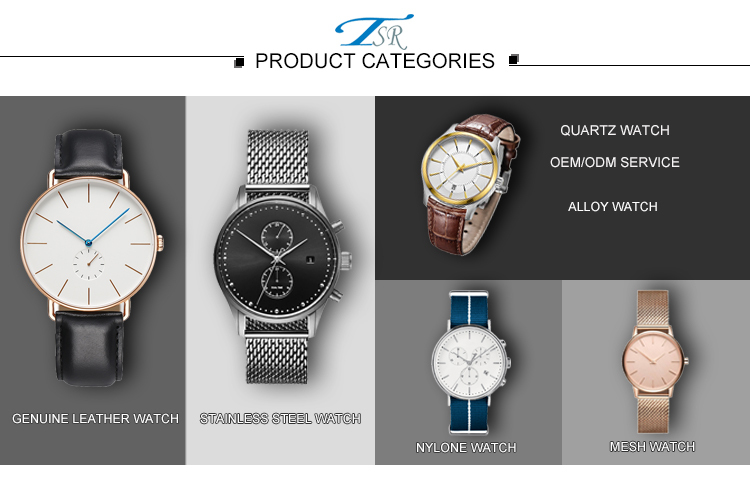 A: For stainless steel watch, our MOQ is 300pcs each model; for alloy watch,our MOQ is 500pcs each model. 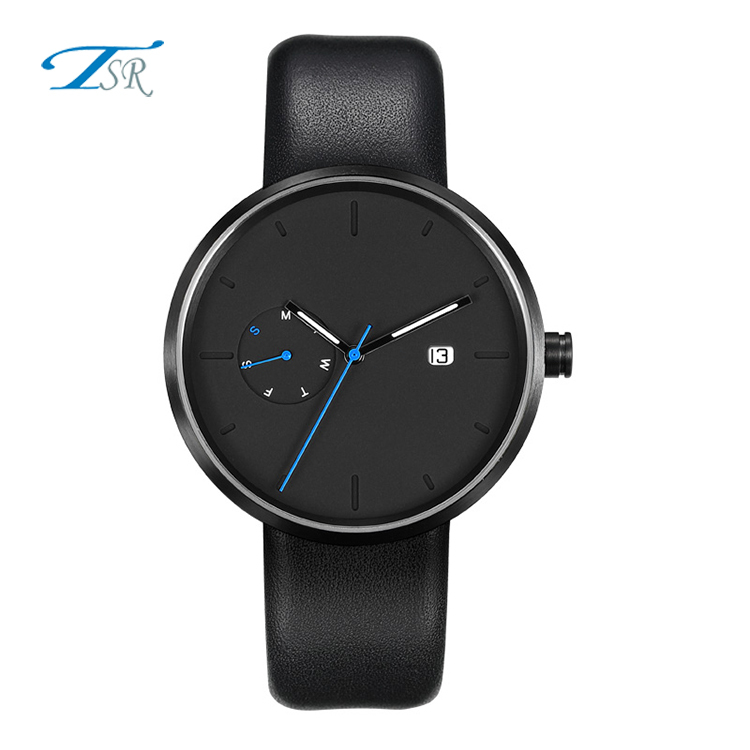 Generally each model can be mixed 2 color dials in same color case. A: Generally,for custom sample,the delivery time is 20-25 days,for batch order,it need about 50-65 days after we get your payment. 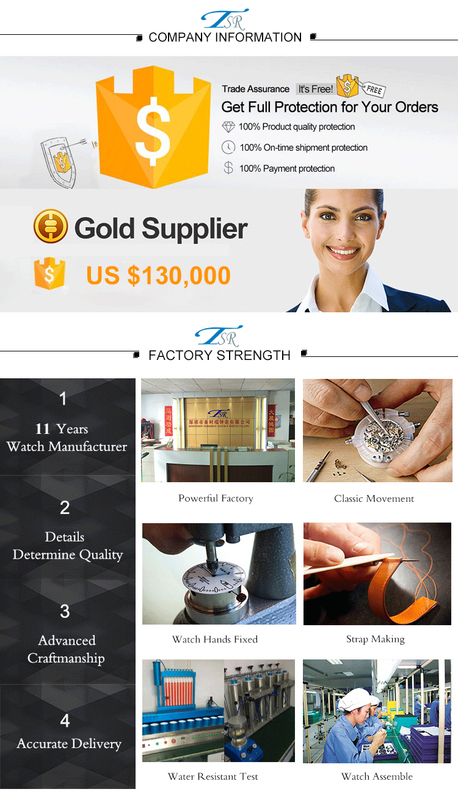 A: Our usual packing for watch is opp bag, we also can provide the custom packaging box,please see following box showing. A: Yes, we can print logo for you, just please send us your logo and tell us the custom area you want. 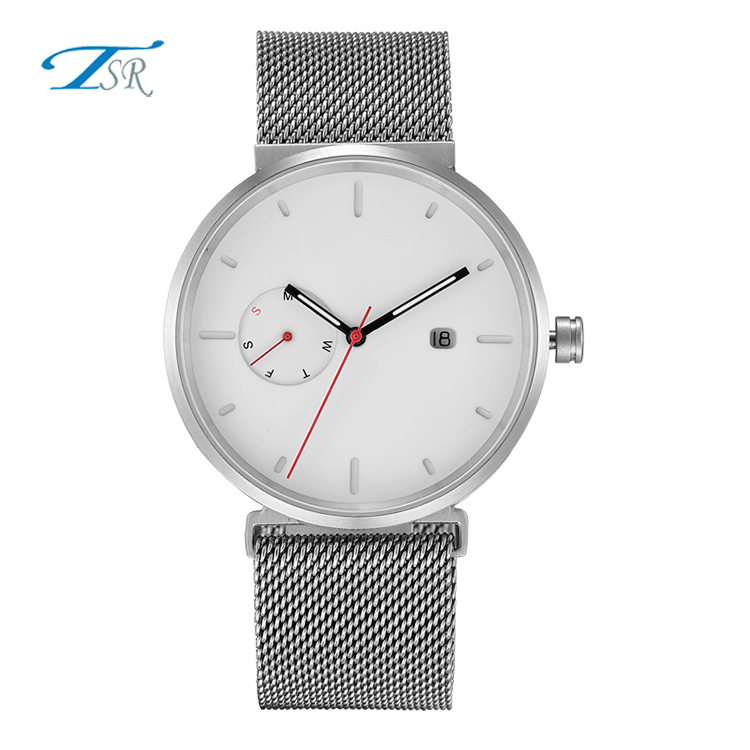 A: Generally we provide 1 year guarantee for the movement.We are very confident in our products, and we pack them very well, so usually you will receive your order in good condition. 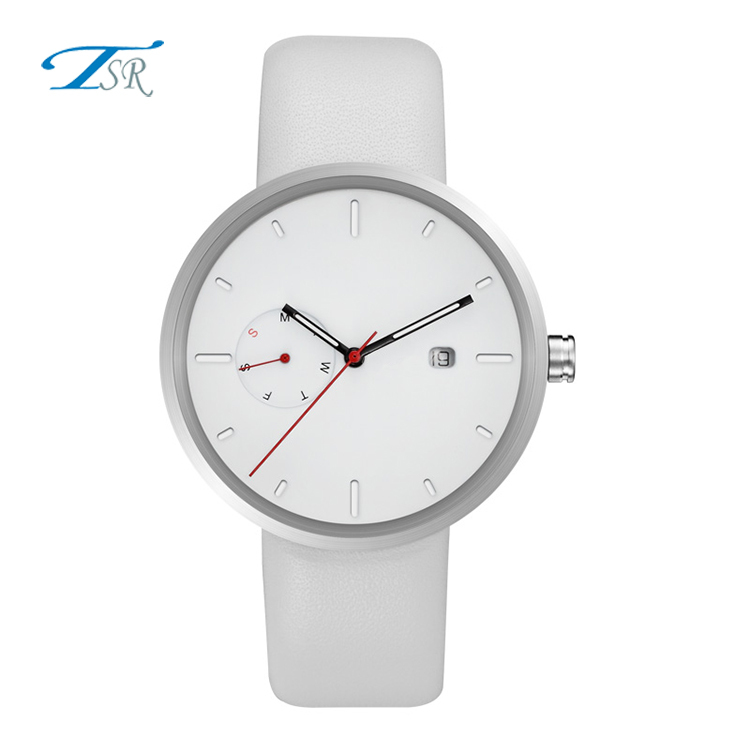 But to avoid any subsequent trouble regarding quality issue, we suggest that you check the watches once you receive them, and let us know the details if there is any damaged ones, so that we can deal with it accordingly.